As a kid, were you always cutting your dolls’ hair? Did you also feel inclined to cut your own hair, your brother’s hair, and the hair of that kid from down the street? You may have always felt destined for a career in cosmetology. Passion is important if you want to work in the beauty industry, but success in cosmetology involves a lot more. While all stylists are unique and creative (one of the best parts of this industry) there are five overall traits that all great stylists possess. 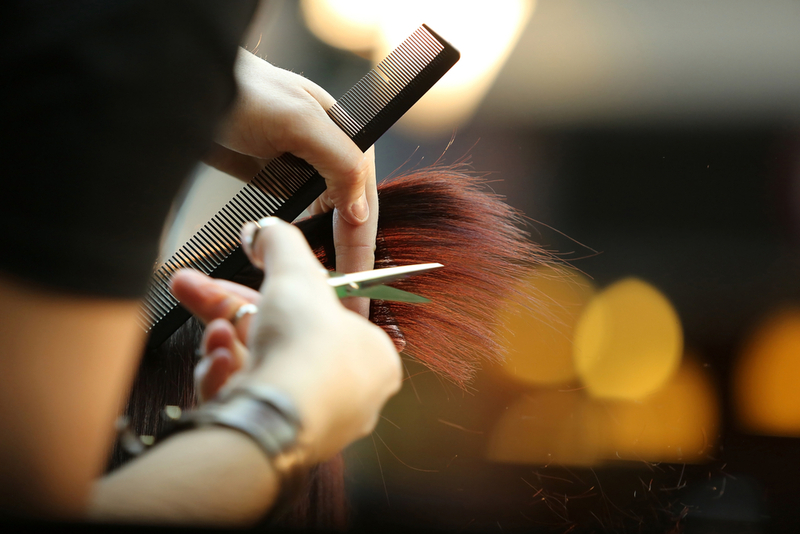 Finding success as a hair stylist means listening to your clients in more ways than one. We all know the old saying: that hair stylists make better therapists than the real deal. It’s true that many of your guests will love rehashing the ups, downs, and dramas of their lives with you (and chances are, you’ll have fun listening), but the most significant act of listening you’ll experience as a stylist is during the initial consultation with your guest. Don’t let the rehashing of their latest workplace drama overshadow your obligation to clarify exactly what they want from their service. Before you pick up the shears or mix the color, it is imperative that you and your guest have communicated clearly and are on the same page. Part of being a successful hairstylist means staying on top of the latest trends, and the truly great stylists have the skill to integrate those trends into their clients’ personal style. At the same time, being a slave to fashion can be so cliché. Your elevated taste and killer eye for design should let you set a few trends of your own. At the end of the day, it’s important that you can not only create a vision but execute it as well! When a guest wants a look that you think won’t work for them, you must be able to tactfully help them choose a style that would look better. A great stylist understands how a hairstyle will work and wear in the long term and can identify whether it’s a good fit for the guest. It’s one thing for your client to be happy with their new look when they’re walking out the door, but it’s another thing entirely to make sure they’re just as happy a month later. One of the number one complaints salons receive from guests is sticker shock because they didn’t know how much something actually costs. If you suggest an add-on or elevated service while your guest is in the chair, make sure you convey the extra costs. Nothing dulls the thrill of a killer new coif, or kills a great relationship between stylist and client, like an unfriendly, unexpected cost on the bill. All the honesty, creativity, and listening skills in the world can’t make up for a bad haircut. Being a good stylist means committedly learning the ins and outs of several techniques — and staying hungry for more education and training once you leave school. We’ve all heard “practice makes perfect” throughout our lives, but it bears repeating because it’s true. You have to make sure you’re familiar with a number of techniques and tools, that you work on building stamina in your hands, and hone your ability to keep your energy up while working on your feet all day. You are Michelangelo and the guest’s hair is your Sistine Chapel. Adaptability is the crucible in which the first four requisites come into play. An excellent stylist is unfazed by changing trends, new tools, client visions that come way out of left field, and the millions of tiny inconveniences that somehow fill everyone’s lives. You never know what your day will bring you, so it’s imperative that you’re confident that your creativity, vision, and skill can all come into play to help you achieve a stellar result and a happy guest — no matter what pops up. Do You Have One of These Traits? If you possess one or more of these traits, you might be a perfect fit for our Cosmetology program! Contact us today to learn more about how to become a student at Douglas J Aveda Institutes! If you want to learn more about cosmetology school, check out “Am I Cut Out for Cosmetology School?” Once you’ve started your journey, you can take a look at the Ten Outside-the-Box Jobs You Can Pursue With a Cosmetology License to prepare yourself for your dream job! All photos are property of Douglas J.